Most cervical cancers are caused by the human papillomavirus (HPV), a common virus that can be passed from one person to another through sexual activity. With the advent of the HPV vaccine and regular Pap screening tests, most cervical cancers can now be prevented. 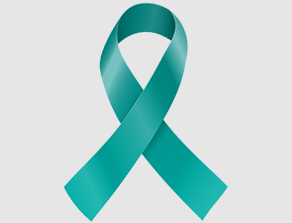 In 2017, it is estimated that nearly 13,000 women will be diagnosed with invasive cervical cancer in the U.S. and more than 4,000 patients will lose their battle with the disease. Although the number of new cases has been declining over the past decades, thanks to Pap screening, cervical cancer is still the second most common type of cancer for women worldwide. In addition to specific projects listed below, genomics research is helping us attack cervical cancer – and all types of cancer. NFCR has distinguished itself from other organizations by emphasizing long-term, transformative research and working to move people toward cancer genomics. 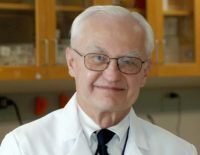 NFCR-funded scientist Dr. Harold F. Dvorak discovered the vascular endothelial cell growth factor (VEGF), which plays a central role in angiogenesis, the process by which tumors recruit blood vessels to supply the nutrients they need to grow and survive. Dr. Dvorak’s breakthrough led the research community to develop inhibitors of VEGF. One anti-VEGF targeted cancer therapy has treated over 1.5 million patients with various types of primary and metastatic cancers. In 2014, this anti-VEGF antibody combined with chemotherapy was approved by the FDA to treat patients with persistent, recurrent or metastatic cervical cancer.